People who have used psychedelic drugs are less likely to suffer from depression, psychological distress, or suicidal thinking, according to a new study published in the Journal of Psychopharmacology. The research was led by Peter Hendricks, a professor of clinical psychology at the University of Alabama at Birmingham, using data from the National Survey on Drug Use and Health. Survey responses from over 190,000 adults were analyzed and the respondents were divided into two groups — lifetime psychedelic users and non-users. Lifetime users were defined as those who had ever, even once, tried DMT, ayahuasca, mescaline, psilocybin mushrooms, or LSD. 13.6% of survey respondents fell into this category (percentages have been weighted to correct for confounding variables). Classic psychedelics remain Schedule I substances…rendering clinical research with these drugs extremely difficult to conduct. Psychedelic users showed a significantly lower likelihood of recent psychological distress, as well as less suicidal thinking and fewer suicide attempts, than non-users. Users were 36% less likely to have attempted suicide in the past year. Use of other illicit substances, say the researchers, are “by and large associated with an increased likelihood of psychological distress and suicidality.” The use of non-psychedelic substances is a suicide risk factor, they conclude, but psychedelics appear to have the reverse effect. Psychedelic users were 36% less likely to have attempted suicide in the past year. The results align with another recent study, completed by a Norwegian team in 2013, which also linked psychedelic use to improved mental health. In that study, psychedelic users were shown to have a lower incidence of psychosis, anxiety, mood disorders, social phobia, and PTSD. Users also had lower rates of psychological distress, outpatient mental health treatment, and psychiatric medications. 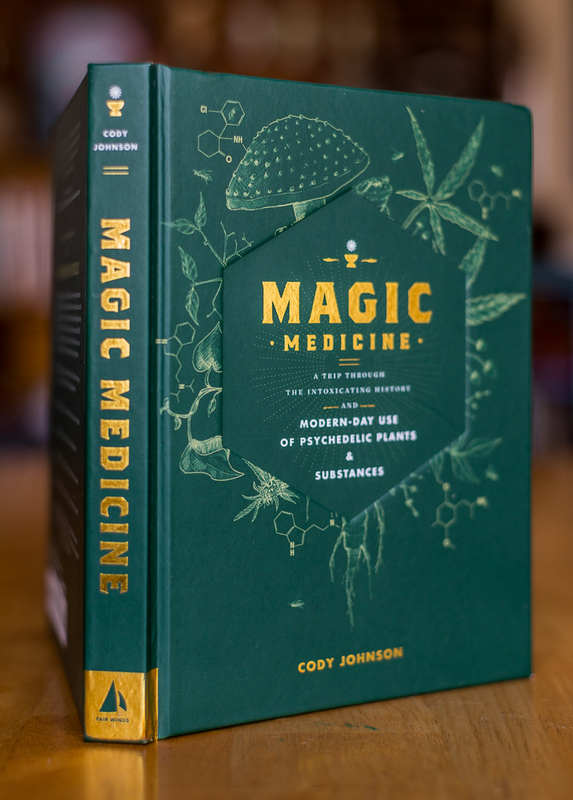 Despite millennia of use in sacred healing rituals, and accruing scientific evidence suggesting safety and efficacy when administered in clinical settings with appropriate safeguards (Johnson et al., 2008), classic psychedelics remain Schedule I substances. … These legal restrictions were enacted in the absence of a compelling medical or scientific rationale, and contemporary analysis suggests that classic psychedelics are among the least harmful of misused drugs, with limited dependence potential. If individual-level harms occurred, they failed to obscure the apparent protective effect of classic psychedelic use on psychological distress and suicidality at the population level. Considering that carefully controlled conditions are ideal in the administration of classic psychedelics (Johnson et al., 2008), it is noteworthy that naturalistic classic psychedelic use demonstrated evidence of benefit. Not only could classic psychedelic users have used in suboptimal settings, they could have ingested substances of unknown purity and/or at sub- or supratherapeutic doses. He adds that the apparent benefits of psychedelic may be even greater if we utilized “specialized treatment settings designed to maximize safety and efficacy.” If we can limit the negative effects associated with illicit drugs — namely purity and dosage — the benefits may be incredible. The veils of ignorance and propaganda are not enough to dim the light of the psychedelic experience. Even in the form of black market drugs, taken in recreational settings and without any formal preparation or education, psychedelics appear to improve mental health in those who choose to take them. Now imagine a culture that emphasized responsible use, educated its youth about the importance of set and setting, and imposed a system of sane regulation to guarantee purity and accurate dosage. What benefits would come to a society focused on the therapeutic use of psychedelics, rather than their prohibition? I hope someday we find out.